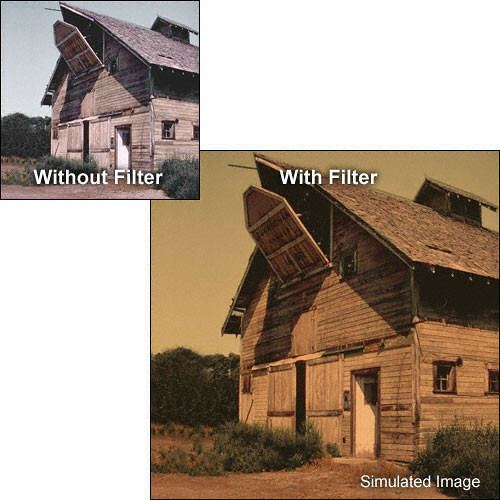 Hoya Sepia Glass filterscome in two grades: A&B. Sepia B has a stronger effect than Sepia A. These filters give an overall nostalgic look to otherwise ordinary color photographs by tinting them with an antique (brownish) hue. In this way, your photos will take on the look of having been shot many years ago in Black and White. Why not offer your client an alternative look to a portrait? Adding a "tint" to an image can give the photo a completely different edge and bring out characteristics that where not there in traditional color - or black and white.